A fair share of words have been said about the newly implemented one-import-in-the-fourth-quarter rule that the CBA board applied at the start of last season. It was discussed whether it was a way to stop Beijing’s supremacy (if it was, well…) or just a patriotic move to help local players get more crunch time experience. But what it has amounted to, so far, is certainly a change in the import market landscape. Now there is no need for two dominant players to eat up the payroll, as only one can play in the fourth. One could imagine some teams switching between the two options to address the changing needs that present themselves during a close game. But not enough CBA teams have a reliable local ball-handler for when the guard import is sitting on the bench (and even those who do have decided not to take chances keeping just the big guy from abroad on the floor). Conversely, the teams who had trustworthy local guards last year; Liaoning (Guo Ailun), Beijing (Li Gen and Sun Yue), Guangdong (Chen Jianghua and Wang Shipeng), were the ones to set the standard by pairing up their excellent guards with luxury role players like Jeff Adrien, Deon Thompson and Chris Daniels. Randolph Morris, who once seemed destined to be the attacking focal point of Beijing as Marbury aged, played almost no fourth quarter minutes in the playoffs. Now, however, a new season is dawning on us, and supposedly every team in China has caught up with the trend, be it a successful one or not (and personally, I’m still not sold on it). The result seems to be a growing number of relatively successful role players coming from the NBA with little regard to the actual production they are capable of providing in a larger role. But that begs the question– is their role going to be that much larger in the Chinese league? As a long term guy with Detroit, the undersized power forward played in three consecutive Eastern Conference Finals in the Motor City before hitting a playoff drought after 2009. He’s since been in different scenarios at Orlando and Charlotte but it hasn’t worked out, meaning Maxiell found it more useful to leave the NBA and maybe come back once the Chinese season is in the books. 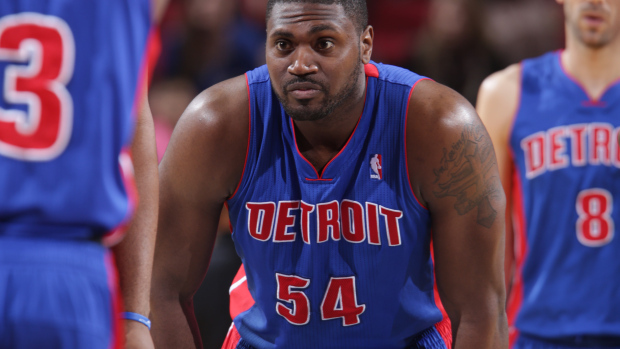 It’s easy to assess the impact Maxiell could have in Tianjin as there’s no recent news on who could fill the Tigers’ other import spot. Make no mistake, the talent is there– although Zhang Nan is well in his final years of basketball and Zhang Zhihan has somewhat plateaued. Big time aspirations, however, are nowhere to be found and there’s just not enough shooting prowess on the roster to hope that a couple of well-assorted imports will save the day. It is good to know that Maxiell will provide some good rebounding but it still looks like a bit of a setback from having Shelden Williams do almost everything on offense. There’s only one way to go when you’ve hit the bottom and Chongqing has decidedly taken that upward path. Moving the team to Beijing and getting Mehdi Kamrani, who has established himself as a reliable and hard-working point guard in Tongxi last season, is a good starting marker. Since Kamrani isn’t affected by the one-import rule (there’s never been a playing time limit for Asian imports), there’s no need to have a true guard import handle the ball unless you have access to a game-changing one, which probably wasn’t Chongqing’s case. We’ve already seen with Qingdao last year how teams with three imports can take a small forward — in that case, Mike Harris — to exploit the huge lack of depth the league exhibits at that position and get the best of most mid-level teams. However, Metta World Peace’s experience in Sichuan started in a similar way (although with no third import) but never panned out as hoped for because the former Laker couldn’t shoot well enough to create a gap at his position and wasn’t enough of a rebounding force to stay on the court in crunch time. Once the Dragons signed Batista, who is a no-nonsense big man with fringe NBA experience and a big body to seal the paint with, the next move ended up being Dorell Wright. Wright is a tall small forward who can stretch the floor and defend. He’s not the type of player who will take over games, but his versatility and ability to defend at least three positions (from SG to PF) is a pretty new feature for CBA imports. As a matter of fact, he’s the second player who really comes with that kind of reputation (we’ve already discussed the matter with the other one, MWP) and figures to provide at least a 37/38% three-point percentage and 6/7 rebounds per game. Of course, it amounts to nothing if the rest of the team can’t play but in the end having three imports makes a difference even when none of them are pure game-changers. Dongguan has always been keen on getting the floor stretched out by signing imports who could grab rebounds but also hit the occasional three-ball. While it hasn’t always worked in terms of commitment (spoiler alert: that’s what happens when you sign Donté Greene…), having a consistent role in mind for your foreign newcomers are a good way to keep the team balanced. Bobby Brown is of course set to keep his job as the leader of this team– but there’s local talent in the paint as well and it’s probably time to take those training wheels off Sun Tonglin and Li Muhao. They can and should fight for bigger roles (especially the latter, as it’s frankly laughable that he plays for the National Team but is buried on the bench of a mid-to-high level CBA team). Meanwhile, Zhang Kai, who used to be a big time player in his heyday, is still only 32 after all. Added to these frontcourt goodies is McGuire. He’s never been a good shooter but at 6’9″, the American has impressive versatility that helps him fill pretty much every spot on the floor. He can score, rebound, pass and handle the rock. He will be much more mobile and technically adept than most people probably expect and this will help Dongguan’s chances to diversify their offensive arsenal by not having Brown take all the shots. Mix this handling and driving ability with Dongguan’s local shooters and you might have the Leopards’ most complete roster to date. The second import is a changing feature in CBA basketball, as you can see. Shooters, role players, secondary ball-handlers have grabbed their seat alongside traditional league dwellers like Morris, Shavlik Randolph, Denzel Bowles and second-year big man Bernard James, who is back in Shanghai. What will be the winning formula this year, however?